"Protecting from downtime and good security"
The most painful thing is website being down due to the DDOS attacks and cloudflare has kept us ahead on this front. All the DNS management is up to cloudflare. They provide good overall security for the traffic. It always balances what we are really getting not what the people might be trying to show us what we are getting in terms of traffic. It is very easy to shift to cloudflare and they have excellent support working to help customers around the clock. They have a very good proxy system and decent management for latency. They have a very good documentation about the usage of service. Sometimes returning customers see unable to access pages. Also on the downside is it's cost which might look expensive to startups. They provided one of the best WAF in market but you shall be sure if you really need it or not. If you are facing too many DDoS attacks I recommend using it despite of the price tag, because it can solve much of worries. Many of our clients warned us about the downtime of our website so we tried cloudflare to resolve the issues. They have an excellent support staff which resolves all our problems whenever we have one. The configuration was super fast and the results were seen immediately. It helps prevent DDoS Attacks from coming in, allowing the site to not be hit off and have a down time. It is reliable and great to use, since CloudFlare been implemented, our site has been up since we started hosting it. There's also a free version of CloudFlare for smaller companies, which is still as reliable as paid..
Cloudflare is somewhat hard to implement to our website, must change DNS Servers in order to use. Cloudflare modifies the code of your pages, slow down website, block your website and make your website crash. 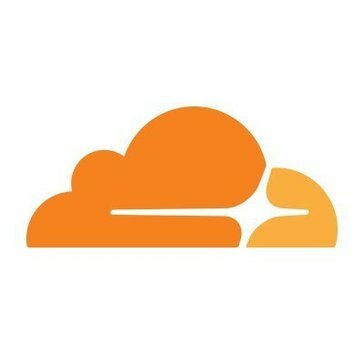 If you're looking for a cheap DDoS Prevention Service, CloudFlare is the way to go, they also have a good free version which is really recommended for new companies. Solved DDOS Issues, you can also monitor all your visitors & gather information about them, since many websites using cloudflare get the same IP and same DNS, and since your website finds himself with other websites that aren't as nice as yours . "CloudFlare WAF: Protecting You From The Bad Guys"
I love the fact that CloudFlare WAF blocks any suspicious incoming traffic: they challenge the visitor with a security feature. This prevents bots and any other automated scripts from trying to hack your website. I also appreciate how easy it was to set up the WAF, thanks to the user-friendly admin panel. The pre-defined rules are also pretty amazing. False positive: one of our technicians updating our website was kicked out for accessing the IP too many times within a specified time-frame. We had to adjust the rules. We were able to have a secured online platform, free from any IT risks. "Extremely nice service to be working with"
I love that I am able to hide my applications behind the firewall and not have to worry a single bit about exposing my origin IP address. There was one time that I lost my 2FA device and there's no way to recover the account or the data stored in there - I can only create a completely new account. Great product, switching in might take some time but worth it. Server and web application security and I can deploy applications behind a secure distribution service.
" Best software for online web protection "
The program provides a suite of products for optimizing website speed and security. Because of its secure and speed, it optimizes site loading much faster by acting as an intermediary between site servers and clients . Occasionally the Reputation Threat module blocks malicious threats by identifying IP addresses and sometimes those IP aren’t always a threat. Maybe it’s due to not recognizing it. "CloudFlare WAF- The Ultimate Protection Against Intruders"
CloudFlare WAF instantly blocks suspicious traffic: odd hours access, irregular browsing pattern, script loading and unauthorized accesses. There is a percentage for false positive. For instance, I was once kicked out from accessing our own website, because we were performing some upgrades. This increase in load was flagged by the WAF. Secure the website and IT systems. Benefits in terms of reputation (secured IT company). Blocks attacks with minimal work on our end. Not able to pay just for specific features ala carte. "Easy to setup and robust security"
The ease of installation and setup - Cloudflare truly makes it easy to enable the firewall on almost any site. Sometimes setting up a custom rule can require a little more digging and technical knowledge than normal. Our hosting clients are protected against malicious traffic and we have piece of mind that their sites won't encounter a breach. "helps to slow down attacks on website"
Nothing, its really good. maybe the price, but you get some extra protection which costs. "Cloudflare WAF Keeps my Site Safe at All times"
There really is not anything that our company dislikes about Cloudfare WAF. It works great for at us at all times. It has allowed us to save time by avoiding getting our sites attacked and hacked which was a problem in the past before we started using Cloudflare. Cloudflare WAF is very easy to set up and use. I did struggle to find resources online that helped me with issues I faced. Mitigated threats to the network. Worked very well. Good product great service great connections. And data service have a helpful feedback. I don’t dislike the service because I have nothing to say bad.
" Great Support , Very easy to use"
That its so simple and easy to use. Good protection and fast support. There wasn't wasn't really anything i disliked , maybe price could have been a bit cheaper. The web application firewall is one of the best firewalls i tested on the market so i would totally recommend it ,support is fast and very helpful. I like that you can control multiple cites with one software/firewall. It is overly sensitive to web attacks and works overtime when it is attacked. Get it! It will save you time and money. I never have to worry about company data being breached or deleted. It makes life easier by making keeping it a single sourse of security. Multi-cloud security is a big advantage as I don't need to look for different solutions to protect against my apps on different cloud environments. Default protection against OWASP top 10 vulnerabilities is a huge plus. There is nothing I dislike about this product up till now. Making my web application more secure by web scanning for web app vulnerabilities. "Can't live without it "
Honeslty the ability to use SSL certificates on all my sites in one place for absolutely no cost. I dislike the payment plans as their a bit pricey. Encrypting my websites, benefits I realized are that my websites visitors now see a secure site when browsing. Do not dislike anything about it at the moment. Perhaps lower prices would be nice. * We monitor all Cloudflare WAF reviews to prevent fraudulent reviews and keep review quality high. We do not post reviews by company employees or direct competitors. Validated reviews require the user to submit a screenshot of the product containing their user ID, in order to verify a user is an actual user of the product. Hi there! Are you looking to implement a solution like Cloudflare WAF?